A set of four of our popular Twisted Fifties. They are dyed to fade in minimal steps. 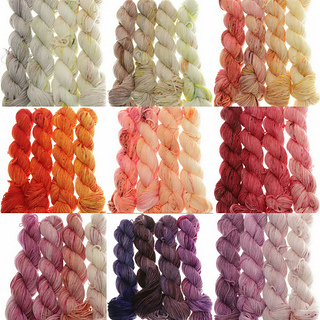 Also there are speckles and splashes of color to make fading happen without the need of changing yarn row by row. 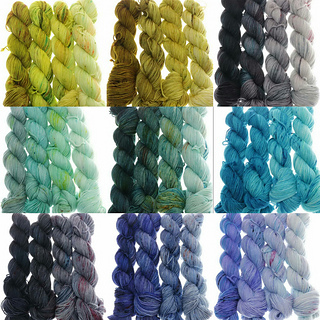 choose one of them for your shawl and combine a “Farbquartett” to your liking.